Moments are the bridge to engaging consumers on any device. 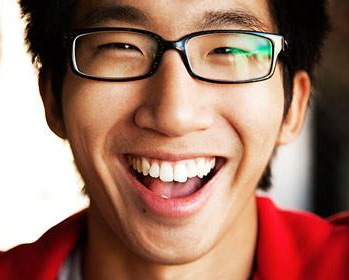 Kiip has been recognized by Forbes as one of the “4 Hot Online Ad Companies to Put on Your Watch List,” named on the Dow Jones “FasTech50” and listed on Fast Company’s “50 Most Innovative Companies.” Once the youngest person to ever receive venture capital funding, Brian Wong received his Bachelor of Commerce from the University of British Columbia at age 18, after skipping four K-12 grades. BusinessInterviews.com: Can you talk about the art of connecting brands with people in rewarding ways? Brian: Sure. The trick is to focus on the “achievement moment.” Moments occur when people are most engaged, in our case, on mobile. It’s when a user logs a completed workout in a fitness app, wins a level of a mobile game and so on. If you can locate the moments when people are most excited, you can reach them when they’ll be the most receptive to your brand. And if you can show them something that will make them even happier – like a reward, rather than an intrusive, in-your-face display ad – then you can extend that happiness onto your brand. BusinessInterviews.com: How has Kiip has expanded from advertising to loyalty and what does this shift mean for the direction and vision of the company? Brian: We’re still grounded in rewards. In this case, we’re just expanding in a way that enables us to address additional brand needs: promoting in-app usage, engagement and customer loyalty. BusinessInterviews.com: Congratulations on your recent partnership with MasterCard. Can you share a bit about the inspiration the development process behind their new Priceless Surprises mobile app campaign? Brian: Thanks! We’re really happy to have MasterCard on board. Their Priceless Surprises campaign has been around for decades – think back to all the Priceless Surprises commercials you’ve seen on TV and how that campaign has evolved in the present-day. It’s rooted in one thing: genuine human emotion. By leveraging Kiip Platform, MasterCard is extending that emotion into a mobile-connected world. I’d love to give you more details, but we’re waiting for the next announcement in a few weeks. BusinessInterviews.com: What are some trends in the mobile landscape that you’re excited about or think that our readers should be paying attention to? Brian: Real-time needs addressing. Mobile is the most personal device that people own. Our phones know when we exercise, how we communicate with our friends and it’s often the focus of our leisure time. There are so many moments every day on mobile. So when you analyze those moments, you can determine what users need – often before they even know it. For example, if someone favorites a recipe on a cooking app, a brand can introduce themselves by offering a discount on the required ingredients. That kind of interaction is welcomed, not dismissed. These moments exist beyond mobile as well. Think about wearables, connected cars and smart home devices. When you cross your 1,000th mile on a road trip, your car should reward you by offering you a discount on an oil change. When you go for a run, your fitness tracker should offer you free samples of protein bars to keep your energy going. The moment possibilities – across all devices – are endless. BusinessInterviews.com: You’ve experienced a great deal of professional success so far but what milestone or recognition has felt the most meaningful? Brian: Well, successfully founding and running Kiip, at age 18, was huge for me. Within the company though, we’ve hit so many milestones I’m proud of: being named one of FastCo’s “50 Most Innovative Companies,” working with a variety of incredible partners like PikPok and MasterCard or even being featured on the cover of Entrepreneur last year. BusinessInterviews.com: Can you share your plans for redefining mobile loyalty in the coming years? Brian: When we first were testing Platform, we discovered that long-term, points-based loyalty programs aren’t the most effective way to connect with consumers. Instead, Kiip Platform offers loyalty rewards that instantly gratify people. I hope to see this kind of engagement catch on throughout the industry. BusinessInterviews.com: How can brands plan and prepare to deal with this shift in loyalty and be ahead of the curve? Brian: Remember to think about the moment in terms of the consumer journey – moments are most familiar on our phones, but they exist everywhere. And while brands should strongly consider a mobile loyalty plan, in five, ten years: what will loyalty look like on new devices? Moments are the bridge to connecting with consumers on any device. Moments are eternal.